Family holidays and city trips in Graz. 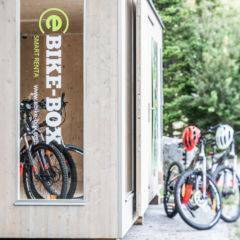 The Styrian capital is THE city for kids! Children’s museums and exhibitions, a lot of nature and family-friendly restaurants inspire young and old. The JUFA Hotel Graz City*** is well accessible and is located close to the city centre. Family-friendly quiet zones, a sun terrace with a café and a large play area for kids, indoors and outdoors, enable welcome breaks; a good night´s sleep in our modern equipped rooms and a hearty breakfast buffet ensure carefree holidays. Modern seminar rooms with a size of up to 110m², free wireless internet access and the in-house restaurant with a healthy cuisine will ensure the smooth implementation of your daily schedule. Guests can also relax in the old town with its numerous restaurants and bars – offer your colleagues and partners networking options! Cosy and stylish restaurants await you in the old town. 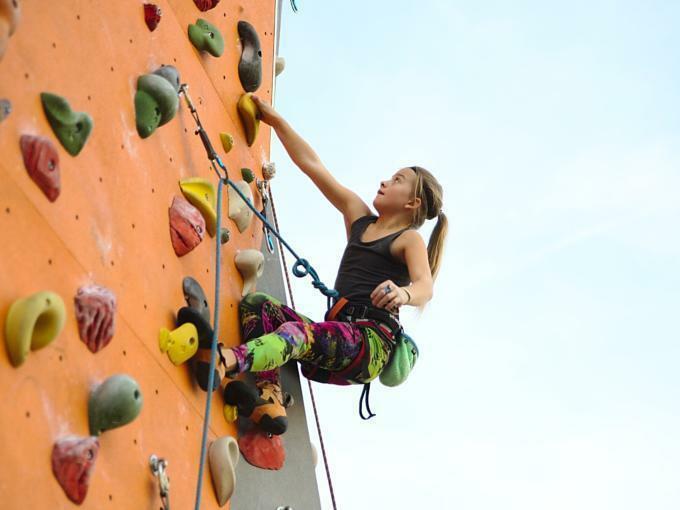 We recommend sports enthusiasts a visit to the Austria´s largest climbing hall: The “City Adventure Center” is directly connected to the JUFA hotel. It offers many options for training and testing – whether pro or novice climber. There are many exciting challenges for the kids, too! A sports equipment rental is also available. Graz is a cyclists city. Explore the green areas of the city by bike or follow the well-known Murradweg. Biking tours begin along the banks of the river Mur, right in the centre of Graz and lead to different areas – a great day trip! The JUFA Hotel Graz City*** is, of course, obstacle-free and can be reached easily and quickly from the central station of Graz, as well as from the motorway. The JUFA Hotel Graz City*** is centrally located in the district of Gries and can be reached easily and conveniently. Getting here by car: Parking spaces are available at the hotel. If you are feeling particularly impatient, you can walk to the old town in just a few minutes. 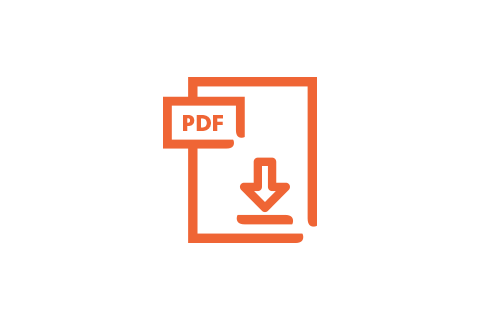 For more detailed information on how to reach us by other forms of public transport, please refer to the website of ÖBB and WESTbahn. From the airport in Graz (GRZ) you can reach Graz by car in about 15 minutes and by bus in 30 minutes. If you continue south on the Murrad cycle route, you will reach the beautiful Styrian wine growing region, which is often referred to as the “Styrian Tuscany”. You can easily reach the numerous traditional Styrian Buschenschanken (wine taverns) by car. You can enjoy a number of regional dishes, including the famous “Brettljause”, which is a type of cold meat platter, and also fine wines and organic fruit juices. Buschenschanken are usually located in beautiful surroundings and are magical places for children. On the 25 kilometre long “Apple Road” in Eastern Styria you will come across fruit farms where you can sample delicious fresh fruit, juices, fine brandies, freshly pressed must and apple schnapps. As soon as you enter Schloss Lustbühel, you will find a children’s playground and a petting zoo with rabbits, donkeys, goats and chickens. As you continue on, you will come to the Austrian Space Research Institute. This unique trend sports hall offers a wide ranging and individual sports experience in 600 m² of interior space for all those who want to conquer the world on wheels. Whether skate or snakeboard, inline skates or BMX – the varied indoor park with Chinawall, Rooftop and Londongap leaves nothing to be desired. A bistro with an extensive range of food and drinks and a lounge with Internet stations complete the Funhall offer. The JUFA Hotel Graz City*** provides an expert service for seminars, events, conferences, team meetings or workshops that are run over several days. 4 seminar and workshop rooms with natural light measuring from 36m² to and 110m². The JUFA Hotel is centrally located near to the train station and is only a 15 minute walk away from Graz’s historic centre (Altstadt). The modern hotel area with a comfortablesun terrace, the public green spaces and seminar rooms with natural lighting provide the ideal facilities for conferences and company events. At the end of a successful seminar, you can enjoy the wide range of cultural attractions on offer in the Styrian capital of Graz. Please enquire about the Skywalk, a special high altitude team adventure. After breakfast onto the climbing wall? The CAC is directly connected to the JUFA City Hotel and also has a lot to offer for children. How about a week of sporting activity at the seminar hotel? Cycling, mountain biking or jogging along the River Mur: It is not only the hilly landscape around Graz that will increase the heart rate of active holiday makers and sports enthusiasts. You can also work up a good sweat in Austria’s largest climbing hall, which is located next to the hotel at the City Adventure Centre. 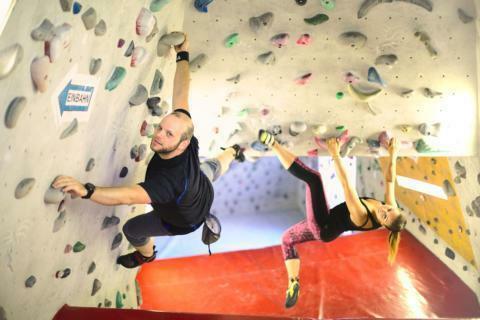 There are climbing adventures to be had with or without ropes (bouldering) in the indoor area, which measures 1.700m², and in the outdoor area, which measures 600m². 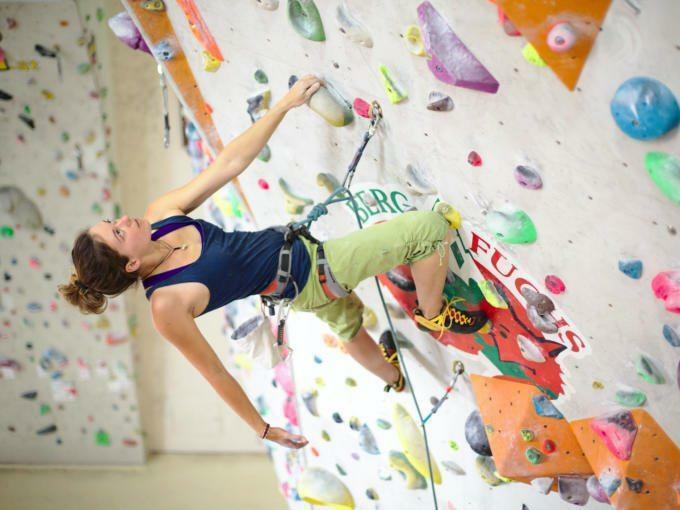 Climbing courses are also available at our on-site climbing school. The CAC is, however, not just used for climbing. There is enough room across the two levels for a range of different activities. A rope ladder leads from the ground floor to the hall ceiling and can be used by everyone for partner belaying. The Skywalk is a formidable fixed-rope route attached to the hall ceiling. The Nature Area on the second flour is a warm-up and slackline zone After a workout on the fitness equipment, you can collapse into a leather sofa in the Chill & Workout Area and enjoy a refreshing drink from the drinks and coffee machines. 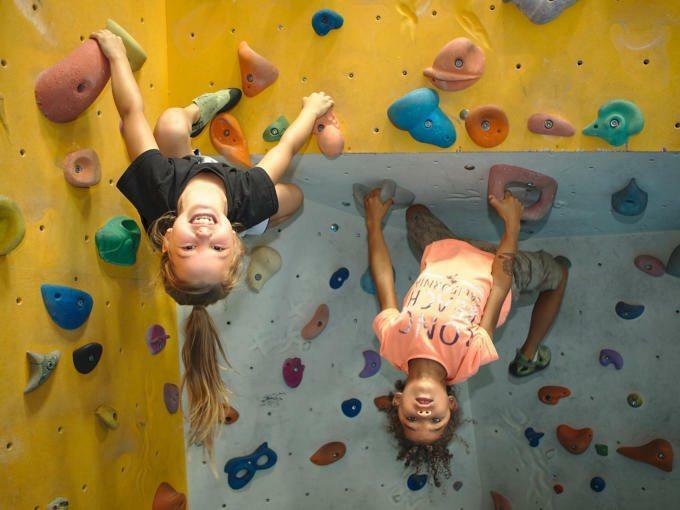 The children’s area and bouldering equipment can be used free of charge. In no way do children miss out on the fun. The tree house and the children’s climbing area with bouldering equipment are particularly popular. In addition, there is lots of other play equipment for youngsters to enjoy. The JUFA Hotel Graz City*** guarantees that you will keep fit even on your holiday. A strong team spirit and a positive working atmosphere cannot be taken for granted. However, the ability to develop trusting working relationships can be learned. The JUFA Hotel Graz City*** has the perfect facilities to suit your particular requirements, whether you are supervising a programme for school-aged children or running training activities for an association or company. The outdoor area also encourages groups to engage in activities that will strengthen group structures. Quickly accessible excursion destinations with great highlights, such as the FRida & FreD Children’s Museum and the ideal equipment make school excursions and class trips into unforgettable experiences. "Hotel für einen Kurzztrip nach Graz"
"Ein schöner Auftakt ins neue Jahr!" "Nettes ruhiges und zentral gelegenes Jufa Hotel." "Jufa City Graz - jederzeit wieder!" 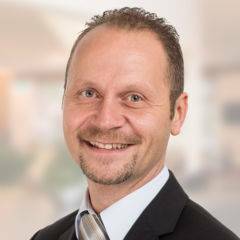 The hotel management Jürgen Schmuck and his team are available to answer your questions at any time! Im interested in the offer "JUFA Hotel Graz City***" in the .